TNPL is entered in their third edition and last two seasons were successful. This year 28 matches will be played between 8 teams in the period of 31 days. Tirunelveli Cricket Stadium got the hosting of 14 matches of TNPL 2018. The Indian cement company ground located in Tirunelveli is capable of hosting day night matches and TNPL schedule is planned according to that. Like previous years, this year local residents and cricket fans are very excited for the TNPL 2018 in this city. ICL tickets for TNPL remains in high demand during the league. 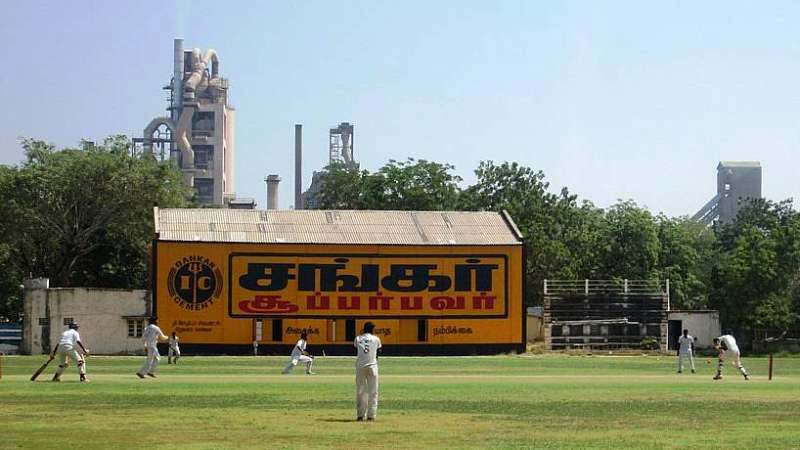 Indian Cement Company Ground is a cricket stadium located in the Tirunelveli city of Tamil Nadu. This is a cricket ground owned by Indian Cement, therefore it is also known as an ICL ground of Tirunelveli. It is an old cricket ground, which was opened in 1960. Tamil Nadu Premier League matches are played on this ground. This ground organises day night matches of TNPL and floodlight facility is available at this stadium. 14 Matches of TNPL 2018 will be played at the Tirunelveli Cricket Stadium, including the important match of Qualifier 1. TNPL 2018 fixture of Indian Cement Company Ground is mentioned below. Tirunelveli cricket ground ticket booking has already started in online mode for Tamil Nadu Premier League tickets. Ticket prices are very cheap and ticket rates are starting from 50 Rs only. Tickets for TNPL 2018 matches are available on insider and Paytm in online mode and tickets can be booked easily. Online tickets are not allowed for entry into the India Cements Cricket Ground and they should be exchanged with physical tickets to get entry into the ground. Spectators should reach the stadium at least 20 minutes before the starting of the match. This is a small cricket ground having low seating capacity with basic amenities. Tirunelveli cricket ground remains in limelight during the TNPL as large number of people came to this place to watch their favorite teams during Tamil Nadu Premier League. Finding seats during the matches is little bit tough and seating chart will help the visitors to find the seats. Checking seats through Tirunelveli cricket stadium layout will help you to locate seats easily. It is a small ground used for organizing Tamil Nadu T20 (TNPL) matches along with Ranji matches. School collages and school teams can also use this ground after the approval of the authorities. Also check the schedule of TNPL 2018 at Chepauk Stadium and NPR College Cricket Ground along with Ticket price and booking information.